Peng Sun, Chi Zhang*, Jinhua Chen, Fei Zhao, Youyong Liao, Guilin Yang and Chinyin Chen et al. Hybrid System Modeling and Full Cycle Operation Analysis of a Two-Stroke Free-Piston Linear Generator, Energies，2017, 10(2): 1-23. Peng Sun, Chi Zhang *, Jinhua Chen, Fei Zhao, Youyong Liao, Guilin Yang and Chinyin Chen. Decoupling Design and Verification of a Free-Piston Linear Generator, Energies 2016, 9(12): 1-23..
 Y Hu, F Zhao, P Li, J Chen et al. “A Novel Hybrid Excitation Eddy Current Damper for Vibration Suppression”, IEEE International Conference on Information and Automation, 642-647, 2016. L Dong, J Chen,C Zhang, D wu. “Design and Comparison of Three-type VCMs for Nano-positioning system”, IEEE 11th International Conference on Industrial Electronics and Applications, 1656-1660, 2016. Liang Dong, Jinhua Chen, Chi Zhang*. A Novel Voice Coil Motor Used in Nano-positioning Device. The 18th Interntional Conference on Electrical Machines and System s (ICEMS 2015), Pattaya City, Thailand, 25-28, OCT, 2015. Peng Sun, Chi Zhang*, Jinhua Chen,et al. Optimization Design for SRM based on the Regulation Model of Ampere Density and Coil Space Factor. The 18th Interntional Conference on Electrical Machines and Systems (ICEMS 2015), Pattaya City, Thailand, 25-28 , OCT, 2015. Jinhua chen, Youyong Liao, Chi zhang and Peng Sun.Design of a Cylindrical Moving Core Small Linear PM Oscillatory actuator. (ICEMS),Oct. 22-25, 2014, Hangzhou, 2211-2215. Peng Sun, Chi zhang, Jinhua Chen, Fei Zhao.Research on Optimization Regulation Method of Ampere Density and Coil Space Factor for Switched Reluctance Machine. (ICEMS),Oct. 22-25, 2014, Hangzhou, 2637-2641. Fengge Zhang , Jinhua Chen, Guangwei Liu. Research on Counter-rotating Dual Rotors Permanent-magnet Machine for underwater vehicle. IEEE Transportation Electrification Conference &Expo ( ITEC Asia-Pacific) , 2014.1-7. Jinhua Chen,Youyong Liao,Chi zhang and Zhe Jiang. Design and Ananysis of a Permanent Magnet Linear Generator for a Free-Piston Energy Converter. IEEE 9th Conference on Industrial Electronics and Applications (ICIEA) 2014,1719-1723. Jinhua Chen, Fengge Zhang, Wu Zhang. No-load torque ripple analysis of a novel permanent magnet synchronous motor with anti-rotation dual rotors using finite element method. ICEMS, 20-23 August, 2011, Beijing.,1-5.(EI检索号：20115014604765). Jinhua Chen, Fengge Zhang. General analytical solution of magnetic field in slotted surface-mounted permanent magnet machines. ICEMS, 20-23 August, 2011, Beijing. (EI检索号： 20115014604393). 张凤阁*，陈进华，刘光伟，张武. 面贴式异向旋转双转子永磁电机的磁场解析计算. 电工技术学报， 2011， 26(12): 28-36. 张凤阁*， 陈进华， 刘光伟，李晋.定子紧固件对异向旋转的双转子永磁电机的影响. 浙江大学学报(工学版)， 2011， 45(5):804-808. Jinhua Chen, Fengge Zhang, Guihong Feng et al Design and analysis of a novel PMSM with anti-rotation dual rotor. 35th Annual Conference of the IEEE Industrial Electronics Society, IECON 2009, Porto, Portugal, pp1074-1079.(EI检索号：20101812898773). 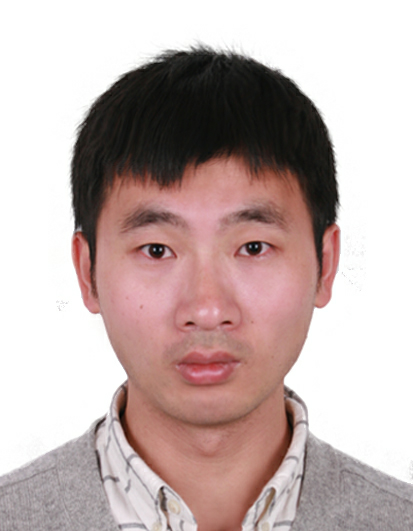 Jinhua Chen, Fengge Zhang, Guangwei Liu, et al. Design and Finite Element Analysis on a Novel PMSM with Anti-rotation Dual Rotor. Proceedings of the IEEE International Conference on Automation and Logistics, 2009, Shenyang, China, pp315-319. (EI检索号：20094812516986).